Gupt Navratri is started from 13th July, 2018. During this people worship nine incarnations of goddess Durga during 9 days of navratri. Other than this, people who want to get Mahavidya worship ten others goddess. 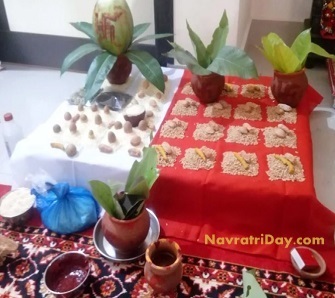 According to mythology, the time of Gupt Navratri is considered very auspicious. If people do any work during tshis time, they will get success in it. If there is any trouble in your life then by doing some specific tasks, you can get rid of that problem. Here are the tips, which you should try. You need to recite this mantra eleven garland times. After that tie the red cloth, make it like a “Potli” and hang it on a high place of your shop or office. By performing these tips, one can get the success in their business. Ashadh Gupt Navratri last day will be celebrated on 21 July, 2018 so try these tips as soon as possible and kill your worries. Goddess will give you peace of mind, success in your business and happiness in your life.